The Thracian tribe of the Bessoi (or sometimes the Bessi) existed between the fifth and first centuries BC. 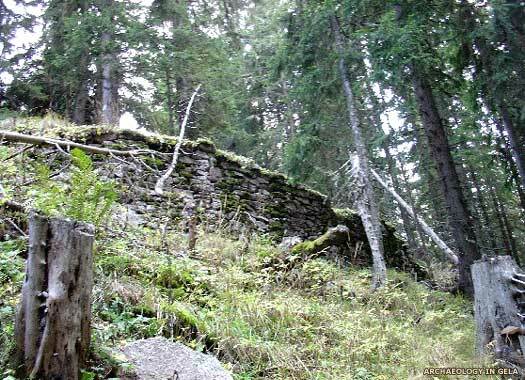 The tribe occupied an area of the Rhodopi Mountains and the northern foothill mountain plain on the upper and middle streams of the River Maritsa (the ancient Hebros), and the adjoining mountain hinterland, all of which is in modern southern-central Bulgaria. Other tribes around them included the Odrissae (of which the kingdoms of Astean and Sapes appear to have been part), none of which were entirely under Roman control once Thrace had been incorporated into the province of Macedonia in 146 BC. Thanks to Herodotus, the somewhat erratic 'father of history', and to archaeological finds, it is clear that the Bessoi possessed a stable political organisation as early as the fifth century BC. Herodotus says 'The Satrai, as far as I know, were never conquered by anyone and are the only ones of the Thracians who continue to be free until today; they live high in the mountains covered with all kinds of forests and snow, and they are excellent warriors; among the Satrai, they engage with prognostications in the sanctuary, a priestess tells the predictions as in Delphi - there is nothing different.' Herodotus fails to reveal which 'highest mountain' is discussed, whether it was Rhodopi, Rila, Pirin or Pangaion, even though most scholars consider it to be the Rhodopi. Gradually the name Bessoi - the name of the clan from which the priests and priestess were drawn - replaced the name Satrai. It seems that the Bessoi were a constituent tribe of the Satrai, and perhaps achieved dominance within that collective, thereby giving their name to the entire people over time. That would have been easier than expected, given that the tribe disappeared from history for a period of about three hundred years from 346 BC. By the time they were recorded again, the transformation was complete. The Bessoi nobles of the plains are laid to rest in a rich necropolis during this quarter of the sixth century BC. 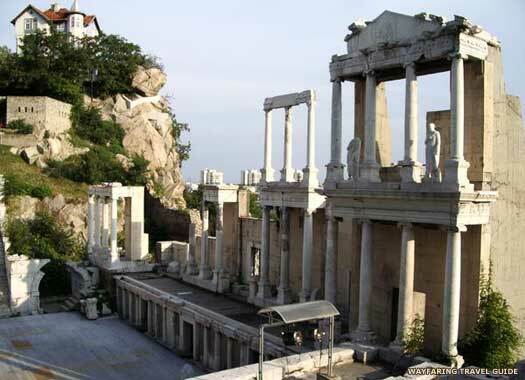 The necropolis is located near the village of Duvanlii, in the Plovdiv region of modern southern-central Bulgaria. The rich funerals indicate that these Bessoi have a differentiated dynastic house as well as trade contacts with the Aegean, the Marmara and the Anatolian coast. In response to the Athenian support of revolts by Salamis and the Ionians, Darius I leads a Persian invasion of mainland Greece. Athens is sacked, but only after its citizens withdraw safely, and subsequently the invaders are defeated by Athens and Plataea at the Battle of Marathon in August or September of the year. Invading Greece in 480 BC, the Persians subdue the Thracian tribes, and they join his forces, all except the Satrai, precursors to the Bessoi, who refuse to succumb. Then the vast army of the Persian King Xerxes makes its way southwards and is swiftly engaged by Athens and Sparta in the Vale of Tempe. The Persians are subsequently stymied by a mixed force of Greeks led by Sparta at Thermopylae. Athens, as the leader of the coalition of city states known as the Delian League, then defeats the Persian navy at Salamis, and after Xerxes returns home, his army is decisively defeated at the Battle of Plataea and is kicked out of Greece. Probable ruler of the Bessoi from the plain. The name of Skythodokos is found among a group of the Thracian royal names, engraved on a massive golden ring found in the Big Mound near the village of Divanlii (now in the Plovdiv region in southern-central Bulgaria). The find is dated to the period shortly before the middle fifth century BC. A horseman - the typical personification of a king - is also depicted in the relief. At some point around the middle of the fifth century, the territory of the Bessoi of the plains is subjugated by the newly founded Odrysian kingdom. Subsequently, the second Odrysian king, Sitalces, gradually enlarges his subordinate territories on the Maritsa river valley and transforms the region of the Bessoi plains in a territory that is controlled by him. The mountain Bessoi inhabiting the Rhodopi Mountains retain their independence. Some of them now join the Odrysian army of Sitalces in his campaign against Macedonia, most likely for the expected spoils. The Bessoi stubbornly assert their independence during the invasion of Philip II of Macedonia into Thrace. He gains ascendancy until about 346 BC. Over the course of the following three years the long-reigning Odrysian King Cersobleptes throws off Macedonian control. It seems that he still either shares power with multiple minor kings (such as the Bessoi), or is over-king of the entire region, which is still highly tribal. Following this event, the Bessoi disappear from the historical record for the best part of three centuries. Although generally ascribed to 119 BC, Kazarov places this event in 117 BC. After a general period of peace lasting for more than fifteen years, the Celtic Scordisci manage to push all the way through the Roman defences, reaching the Aegean coast. The Roman governor of Macedonia, Pompeius, is killed during an attack on Argos. A force led by Quaestor Marcus Annius finally ends their adventure, pushing them back. A subsequent attack by the Scordisci together with the Thracian Maedi tribe is also repulsed. Retaliation is delivered by Rome when a Roman army enters Thrace under the command of Marcus Minucius Rufus. According to several Roman writers and also an inscription at Delphi (which is probably ordered by Rufus himself), both the Scordisci and the Bessoi tribe are defeated. The attack targets not only barbarian military means but, in a change to previous encounters, targets the civilian populations in a rather brutal manner. Rome triggers a pattern of increasing atrocities in its war against the tribes in Thrace and the Balkans. Interestingly, the campaign ignores the perils of the Struma Valley and instead proceeds along the much more open River Hebrus river valley (the modern Maritsa), which is much more suitable for a Roman army. It also seems to be aimed at the heart of the territory controlled by the previously peaceful Bessoi tribe, although it happily involves any other tribes, especially the Scordisci. As the Bessoi live along the Hebrus they make an ideal target without the involvement of dangerous forays away from the river valley. No territory is gained as a result of the raid, but it lays down a marker for the future, as well as bringing the Bessoi back into the historical record. The Bessoi show fierce opposition to the Roman invaders. While perhaps placated to an extent between the mid-second century BC and the mid-first century BC, it is the murder of Rabokentus that inflames Bessoi hatred against the Romans. Rabokentus is mentioned by Cicero in relation to action that is taken by the Roman governor of Macedonia, Lucius Calpurnius Piso, to suppress unrest in the province. Rabokentus is murdered by Piso after the latter accepts a bribe from Kotys II of the Astean, a typical example of Roman officials playing off the native leaders against one another. Dio Cassius Cocceianus reports that Marcus Licinius Crassus, governor of Macedonia, undertakes a punitive expedition against the Thracians in southern Bulgaria, mainly against the Bessoi. The ancient sanctuary of Dionysos, described by Herodotus, is captured, taken away from the Bessoi priests and priestesses, and delivered to the Astean, who are Roman allies. The Bessoi do not accept the settling of these Odrysian Thracians in their ancient sanctuary and revolt. This first uprising is quickly suppressed. Dionysian priest and leader of an uprising. Fate unknown. Vologeses is a Dionysian priest (and possible king) who leads his fellow mountain Bessoi in one of the most prolonged uprisings against the Romans. Their initial aim is to free and re-conquering the sanctuary of Dionysos. Other Thracians join the uprising, and it quickly grows into a storm. Dio Cassius relates that a number of regions in Thrace are ravaged and the Odrysians of Astean are persecuted by the revolting Bessoi. Raskouporis II of Astean is killed and his relative, Roimitalkes I of Sapes, is forced to seek protection from the Romans. To suppress the uprising, the Romans receive help from Pamphylia, and manage to quell the revolting Bessoi by drowning the country in blood and fire. After the rout, some Bessoi are sold as slaves while others are expatriated to Dobruja (today in north-east Bulgaria). Contemporary writers curse the Bessoi as 'the most savage' and 'the cruellest' Thracian tribe due to their fierce resistance. Simultaneously, the Bessoi become a common noun for bellicose and rebellious Thracians, and after the third century AD the name is used for all Thracians for a time.